Farmers Branch has truly earned their reputation for excellence due to their oasis of a small town atmosphere in the heart of big city bustle. This town offers world-class arts, shopping, fantastic schools, and a low business tax rate making it the perfect place to work, play and live. Farmers Branch prides itself on being a family oriented and eclectic town with many activities that are perfect for everyone. The city sponsored events include a Farmers Market, Date Nights in the Park, Fishin’ Fun, an Independence Day celebration, a Bluegrass Festival and Chili Cook-off, a Christmas Tour of Lights, and many more. In addition to the many events the city holds annually, Farmers Branch also provides amenities such as 28 parks, sports facilities, a rec center, and a senior center. Carrollton-Farmers Branch ISD is a fantastic school district that strives to improve student learning, the overall learning environment, operational effectiveness, and community support. 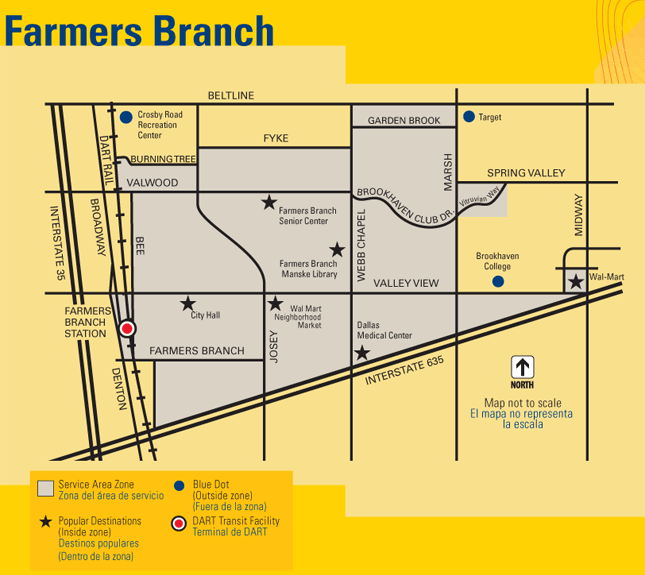 Check out the links below to explore more of what makes Farmers Branch unique.